Both of its predecessors were short-lived. 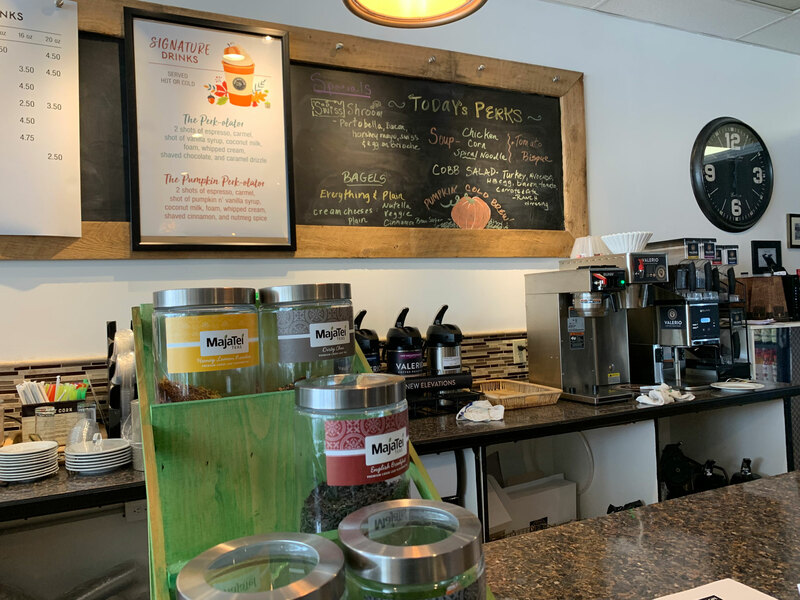 The former – an all-organic cafe – lasted about nine months. The latter – a New York-style deli – made it two more. 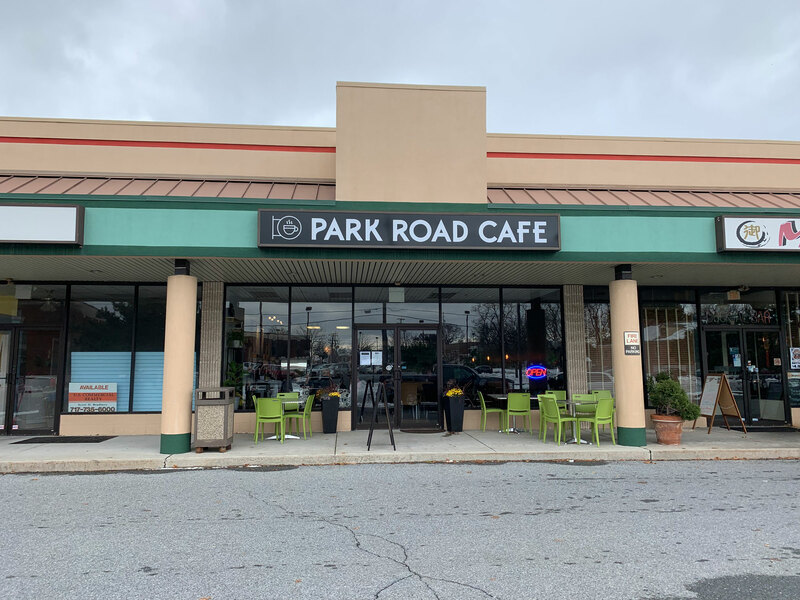 By mid-summer, the space was vacant and the transformation into the Park Road Cafe began. And you wouldn’t recognize the space from the inside. The new look is clean and bold. (The murals of vegetables had already been removed with the changeover to the deli). The only “problem” we had with the change is the lack of seating. There are only about eight tables plus a small loveseat and matching chair in the corner. And to be fair, there wasn’t a lot of seating before, either. Another couple claimed the couch and Julie took the chair – the last seat available in the room. That left me sitting on the window ledge. (There are more tables outside, but winter has arrived early so they’re not getting much use). The menu isn’t large, but that’s not a bad thing. I’ll take quality over quantity any day. And the food at the Park Road Cafe is definitely quality. With only seven sandwich options to choose from at lunch, our decisions were easy. For me, it was the Sleasy Caprese. 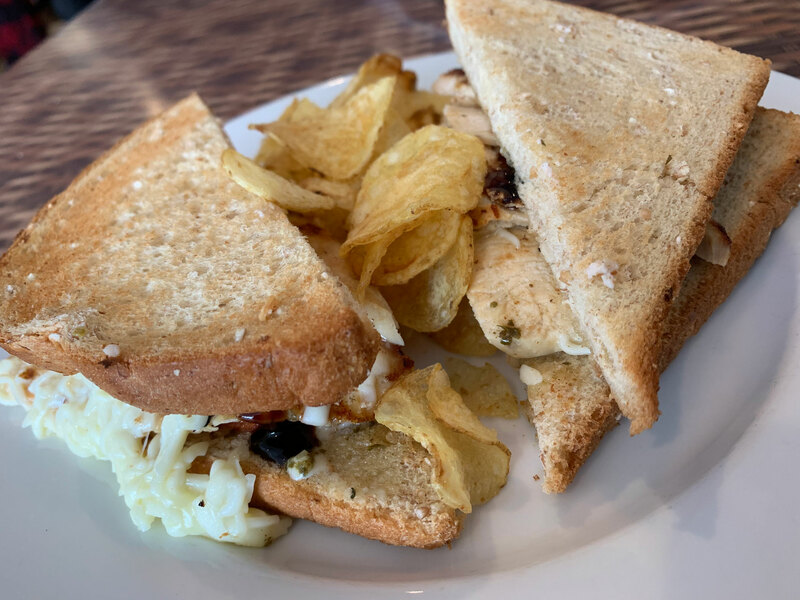 It’s a dirty-sounding name, but a delicious sandwich with grilled chicken, basil pesto, mozzarella, tomato, balsamic glaze and rosemary butter served on wheatberry oat bread. I didn’t get much of a taste for the rosemary butter, but I loved everything else. The ingredients tasted fresh and vibrant and there was just enough balsamic to give it the distinct flavor without overpowering everything. And the bread held up nicely and never got soggy, always a bonus. Julie’s Aww Brie sandwich came served on an equally sturdy brioche bun. Sliced turkey, melted brie, garlic aioli, arugula and berry jam made for a unique flavor experience. Sure, it was reminiscent of a Thanksgiving-inspired sandwich, but the garlic aioli added depth of flavor that made it different enough to stand out. Both sandwiches were served with kettle chips, an expected but enjoyable side. We cleared our plates but neither of us felt like we had been cheated – comfortably full is how we felt after we had finished. And we didn’t feel cheated on the price either. At a little more than $20, it was a fair price to pay for a lunch. 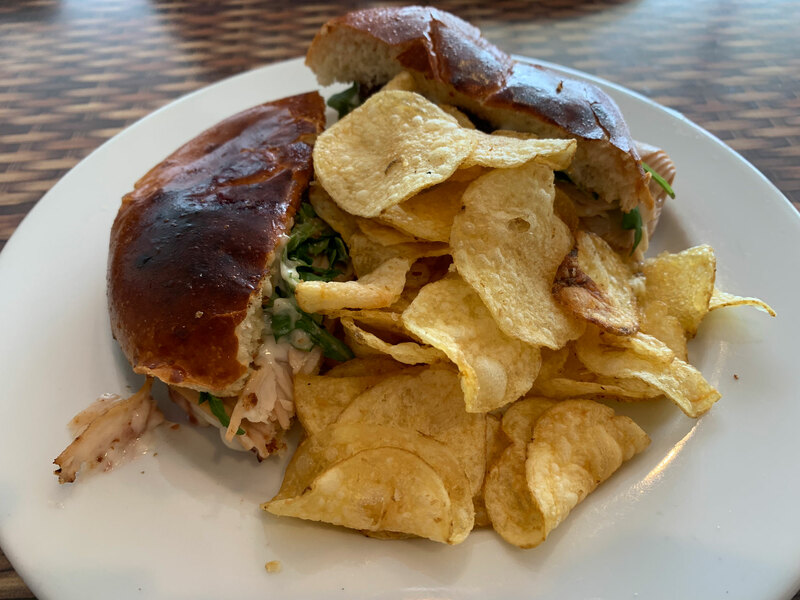 I will say that it is not the fastest lunch that you are going to find in Berks County – it was a solid 20 minutes from the time we arrived until our food was brought to our table. But I will take that wait when the food is this good. 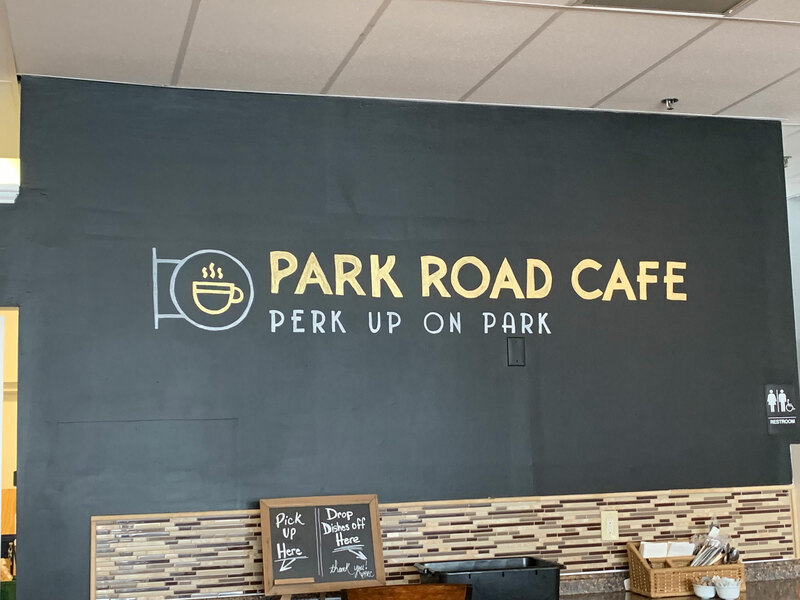 Hopefully Park Road Cafe has hit on the recipe for success that it’s predecessors couldn’t.